So I had been thinking about booking a shoot with another photographer for a while, partly to experience being the other side of the lens for a change and also to get some proper photos of the girls and me together so that I’d have them to look back on (I’m not in that many family photos as you can probably imagine as I’m usually the one holding the camera!). 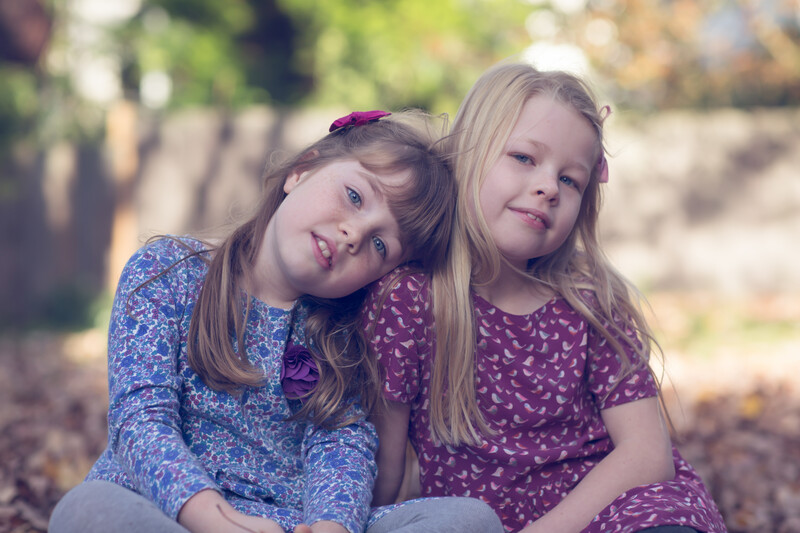 So when I saw that Kay Young was offering mini sessions over half term, I Jumped at the chance and booked a session. I have trained with Kay before and love her work, she does portraits and weddings and has a beautiful fine art style. So the mini session was booked for an afternoon during October half term. In the back of my mind I had been thinking about what we might wear, however on the morning of the shoot itself, I felt completely indecisive and ended up throwing quite a selection of outfits in the bag as I just couldn’t decide. Also having little time left to do the girl’s hair (three girls, it takes a while! ), I threw hairbrushes and a selection of hair accessories into the bag too, hoping for the best. This might all sound like a lot of fuss over nothing, but I know Kay’s gorgeous style and I wanted to make sure we all looked our best. After all, I want to look back and enjoy the photos for many years to come. Another reason for booking a professional photographer is that you make more effort with clothing than you would when you’re usually out and about which of course makes for the images being that bit more special. So I’m now much more aware of the time it takes to get ready and my advice would be – think about what you are going to wear in advance and leave enough time on the day to get everyone prepared! Many of the families that I photograph typically have much younger children than my own so you may also need to allow time for last minute potty trips/nappy changes/packing essential comfort toys as required. Not forgetting preparing a few drinks and snacks just in case, as hungry children do not make good subjects of course! I find the girls quite hard to photograph myself these days (much harder than other people’s children) as they are really not interested. I am always trying to take their photo and the novelty for them has long worn off. So I was hoping they would respond better to someone they didn’t know photographing them. And fortunately they did…. but not for long! 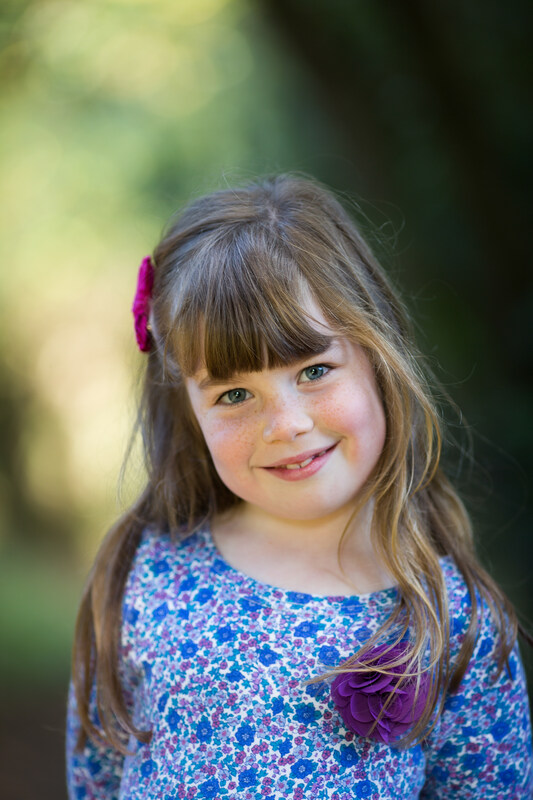 Kay has a lot of experience photographing children of all ages and she is amazingly quick. The girls had probably had enough after about half an hour and started to play up. Fortunately, Kay had already got plenty of shots in the bag by then so we could relax (and possibly a little bit of bribery on my part might have been involved!). I loved watching her work and was intrigued to find that she was using an 85mm 1.2 lens for most of the shoot, coupled with a 135mm f2 lens. I don’t have a 135mm lens (yet) but I love my 85mm lens (I have the 1.8 version) and find I’m finding myself using it more and more. All these are prime lenses so have a fixed focal length but they are generally smaller and lighter than zoom lenses and if you find one that you love then you can get away without using zooms at all. Kay also offered to take some headshots for me which I was thrilled about as I needed some updated headshots for my website and social media. This was a good experience again as I do a lot of professional headshots myself so it’s good to experience being the other side of the camera. I must admit to feeling a little self-conscious and struggling with whether to smile and how much to smile! I know we all feel like this when our photo is being taken (especially if it’s a photo of just yourself), so as the photographer, I try to put people at ease by chatting to them and even trying to make them laugh and giggle. You might not want to be smiling in all your photos, but it’s good to get a variety and laughter always makes for a very natural expression. You can find out more details about my headshot sessions here. After the shoot we went back to Kay’s house for a bit (the image below was taken outside her front door) to gather our things. She showed me some examples of her fine art prints and we discussed when the images would be ready and what was included in the mini session package. After a bit more photography chat we said our thank yous and headed off home. I must admit to being very excited about receiving the images. The last time I booked a professional shoot was when the girls were very little and before I got into photography myself. I’m so happy that I still have that excitement and becoming a photographer hasn’t changed this. Kay sent me through the images on a gallery to choose from. As you can imagine, I was delighted with them all and I ended up buying most of the digitals, allowing me to share them and make my own prints. She also included one fine art print in the package which I’ll have framed and put up on the wall. 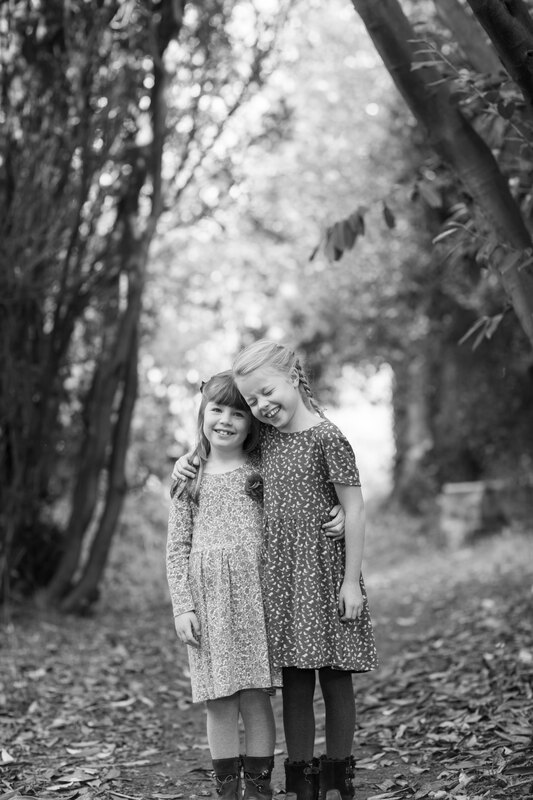 I’ve just ordered some art blocks using the black and white images of the girls which will go up in our hallway and a large multi-aperture frame which I will now be offering to all the families that have photo sessions with me (details to follow once the samples arrive). So if you are thinking about booking a photo session or have one coming up, my top tips would be…. Put some thought into what you are going to wear beforehand as clothing can make all the difference to the final images. 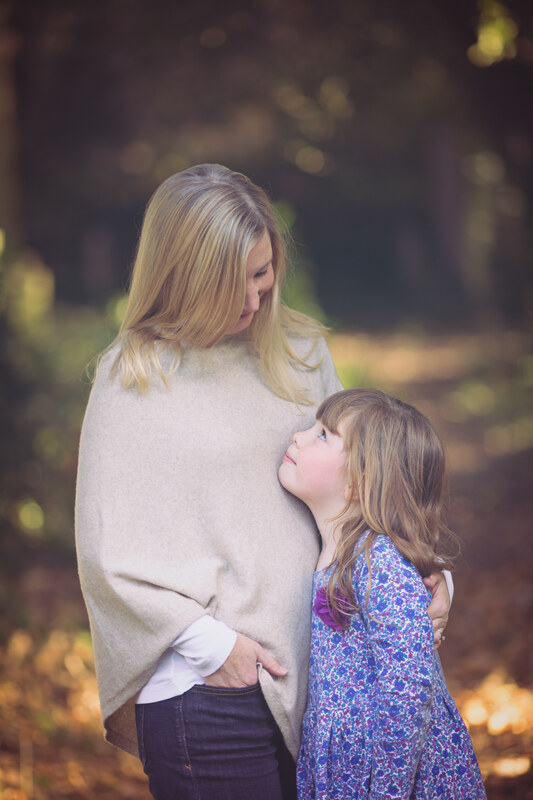 Allow plenty of time to get ready for the shoot on the day (especially if you have girls!) including choosing outfits and doing hair. Pack plenty of snacks and water to keep the children going just in case they get hungry or for a comfort break during the session. Relax and enjoy the session itself and let the photographer direct you. If you want any particular shots, then just say. It’s always useful for the photographer to know if the children have a favourite game, for example or if you’ve always wanted a shot of the family over that garden gate. Order lots of prints from your session and frame them straight away. Wall art prints are also a lovely option to display your images. Don’t delay printing as you might not get around to it! Finally enjoy looking at your images and sharing with friends and family. You will always have them to look back on and treasure for many years to come. I am really pleased that I booked this session as I have some gorgeous images of all of us to treasure and keep. I hope this post is helpful and if you are thinking about booking a family or children’s session then do please get in touch for more details. 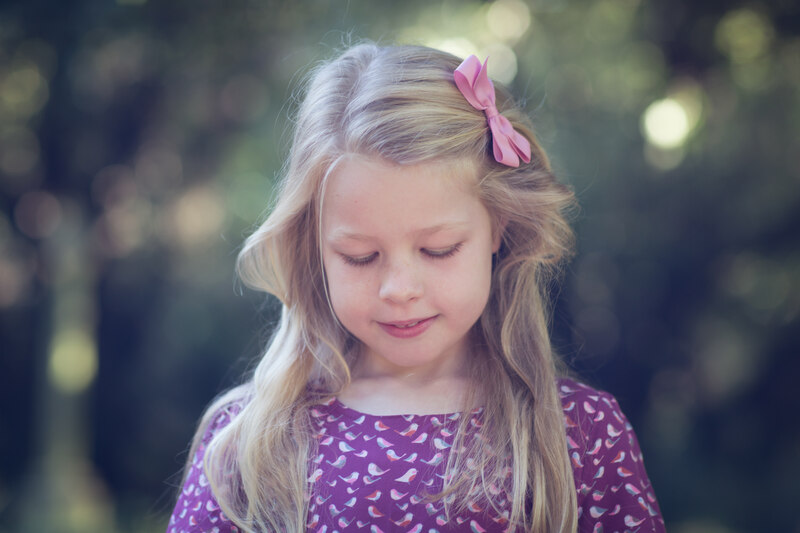 I am planning some mini sessions similar to this one in the spring. Do keep an eye out for more info or get in touch if you would like me to email you with the details and dates.